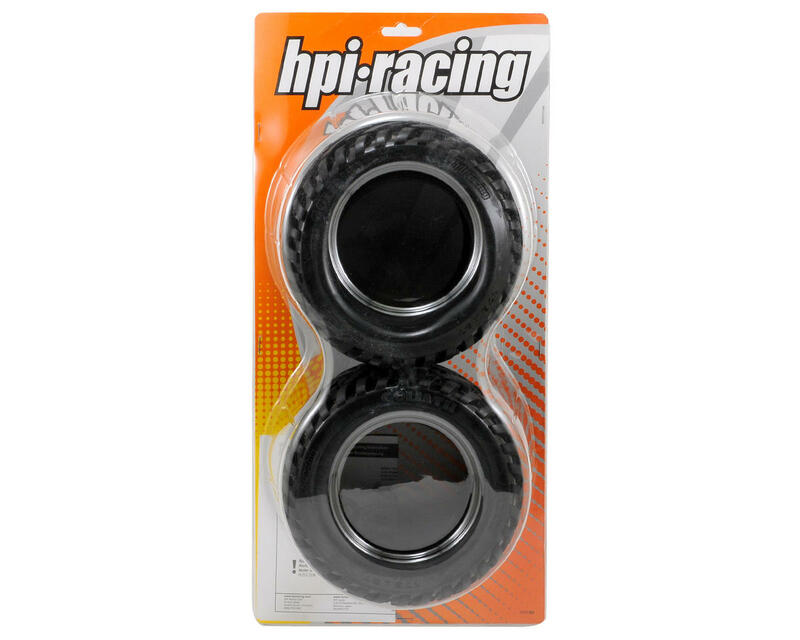 This is a set of two HPI Goliath 178x97mm Monster Truck Tires. Take your Savage monster truck to the next level with the Goliath! With an agggressive tread design, a massive footprint and huge seven inch outer diameter, the Goliath tire makes your truck look larger with a more aggressive stance that towers over the stock tires. 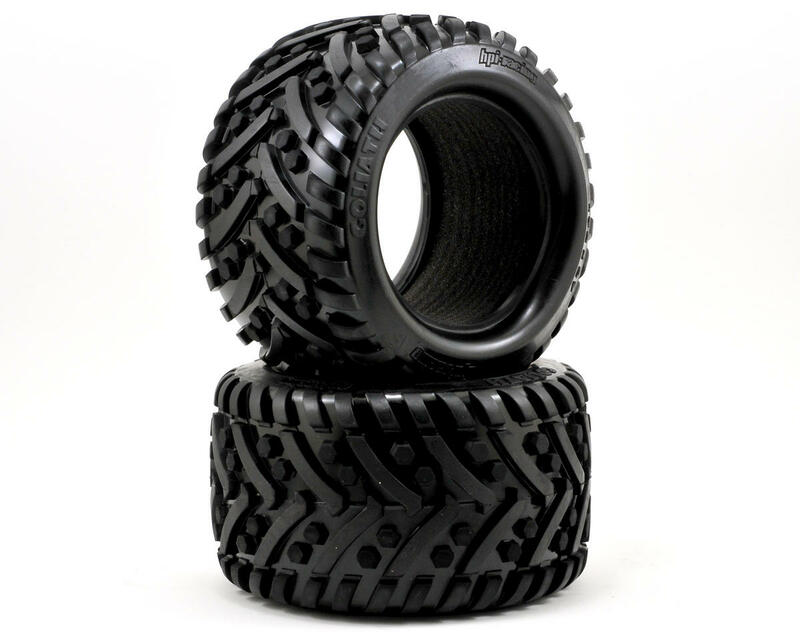 NOTE: These tires are only compatible with 115X70mm wheels such as the HPI Blast and Tremor.